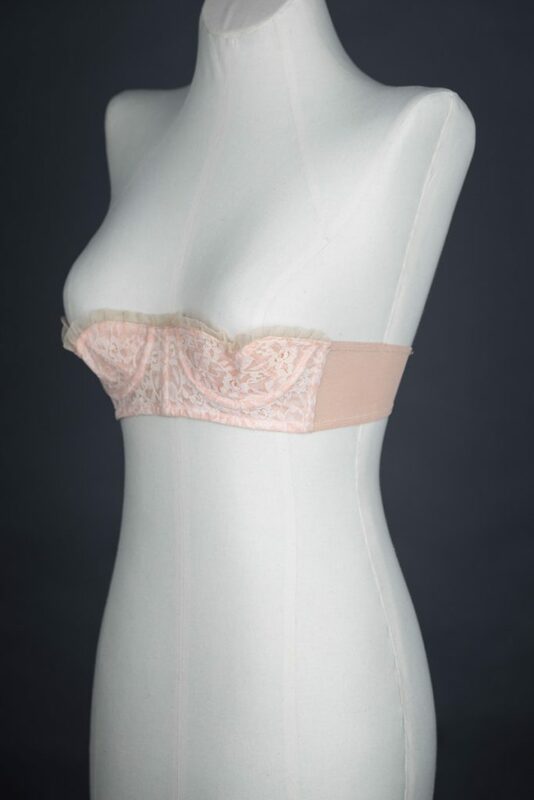 A strapless quarter cup bra made of a nylon lace and stretch mesh wings. 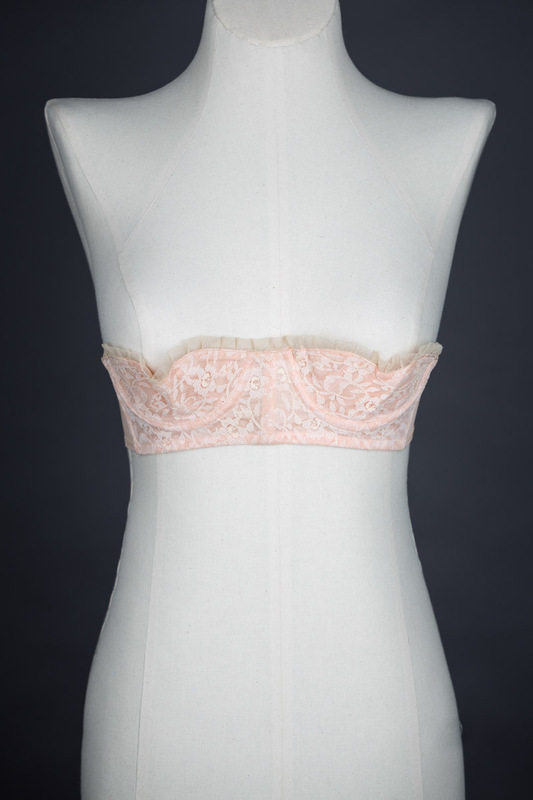 The neckline is scalloped with a ruffled tulle trim. 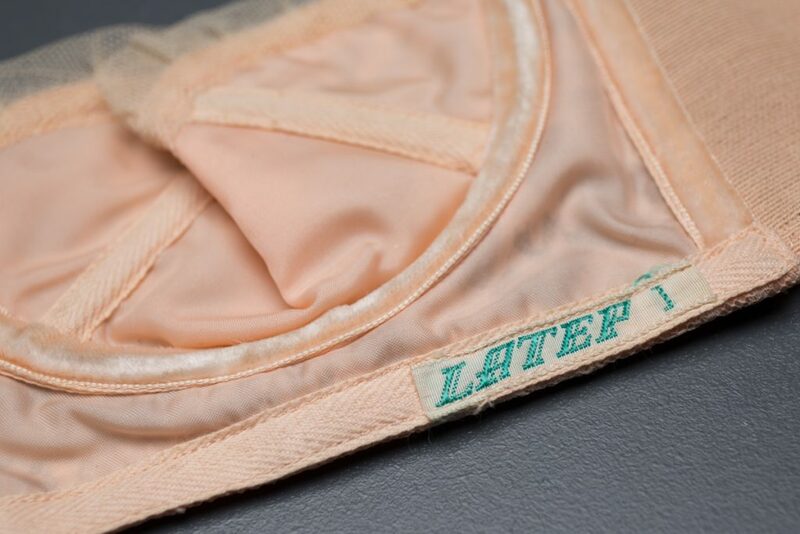 Alongside the underwires, the bra is structured with flat steel bones: providing vertical tension at the centre gore and side seams, with two additional diagonally placed bones at each cup to provide lift and support. 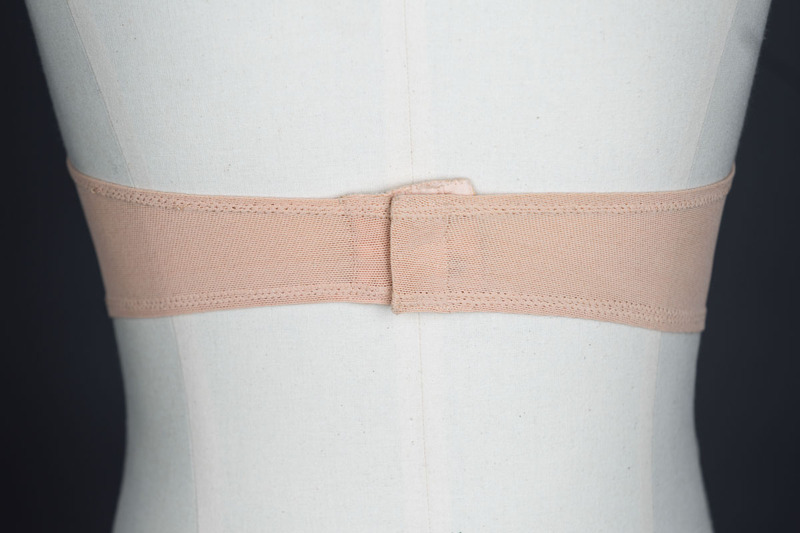 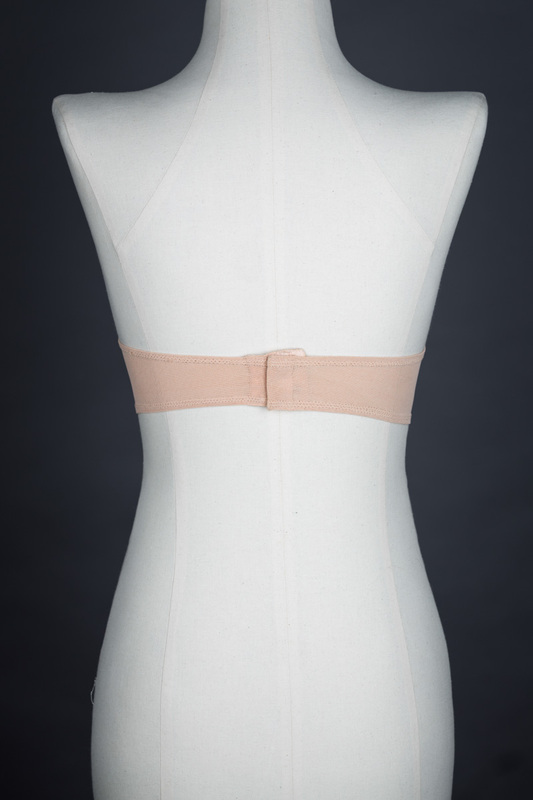 The bones and underwires are encased in a combination of cotton twill tape and velvet ribbon. 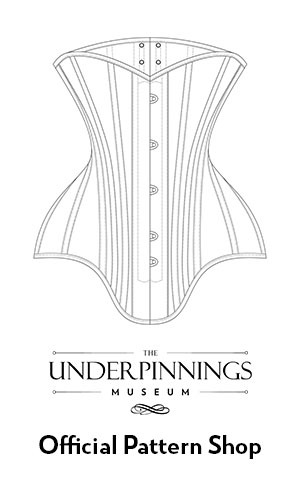 The bra fastens with hooks and eyes at the centre back, lined in velvet. 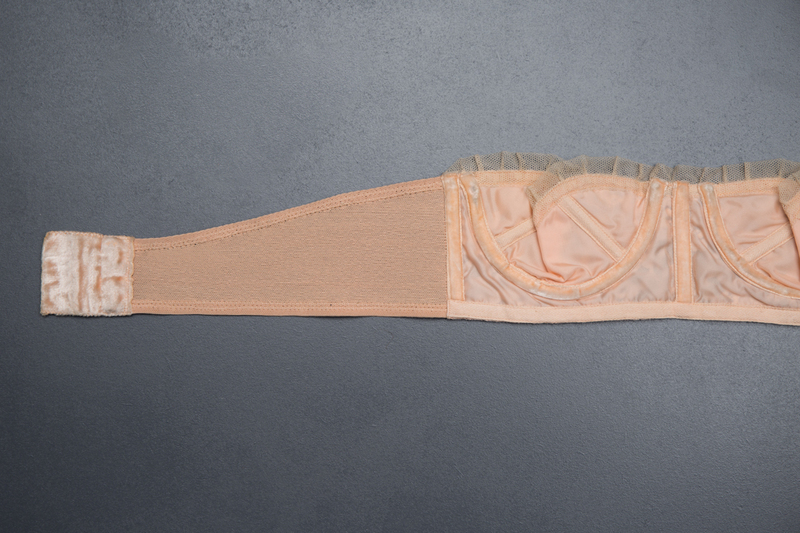 Despite its cutaway cut, the bra offers a surprising amount of lift and shaping to the bust. 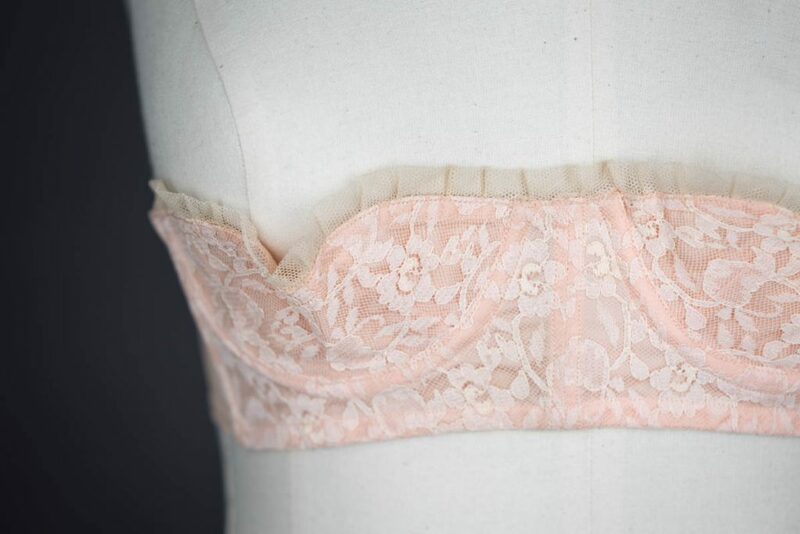 Nevertheless, the lack of shoulder straps suggest that this style was most likely intended as a boudoir design rather than for everyday wear.